One of the world’s top live gaming providers has another marquee partner. 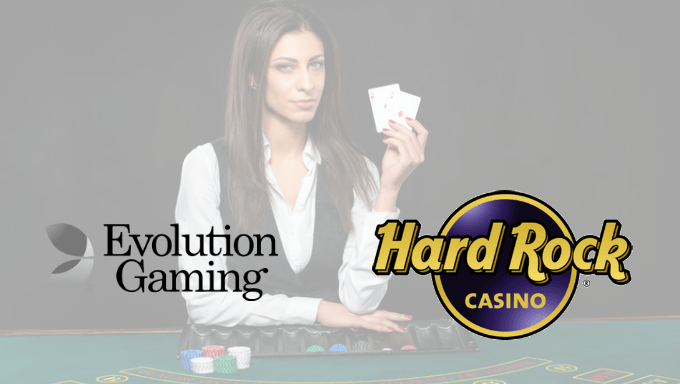 Evolution Gaming has partnered with the Hard Rock Hotel & Casino Atlantic City and its online casino in a licensing agreement. Evolution will provide a “comprehensive lineup” of live table games, the company announced in a press release. The games will be available for online play on desktop, tablets and smartphones. Game offerings will include many of the same games that helped build Evolution’s reputation as an industry leader in Europe. The offerings don’t stop there. The Hard Rock will operate three live blackjack tables exclusive to casino players. Additionally, the casino will host an Evolution Dual Play Roulette table on its main gaming floor. Evolution’s European network of operators will also have access to the roulette table, meaning overseas players can place their bets alongside players physically in the casino. Lee Terfloth, the Hard Rock’s director of product, iGaming, said in a release that his company was thrilled at the opportunity to partner with Evolution. Moves like these are boosting Hard Rock in its first days on the Boardwalk – and helping Atlantic City’s comeback. The partnership is an important next step for the Hard Rock, which is hoping to stand out on an increasingly crowded Atlantic City casino lineup. Along with the new Oceans Resort, the Hard Rock opened earlier this summer. While both facilities, along with the rest of the city’s casino lineup, offer the classic assortment of slot and table games, the Hard Rock has stepped up with a star-studded list of performances. The casino hosted Tiesto, Carrie Underwood, Pitbull and Ludacris – all within its opening week. Hard Rock officials said they will spend more than $30 million on entertainment alone. Within a year the casino will host over 300 performances, including musicians, comedians and actors. That’s not to mention the gambling options at the casino. The Hard Rock has gone a $500 million dollar renovation, stripping the last vestiges of the iconography from the bankrupt and vacant former Trump Taj Mahal property, which had become a symbol of Atlantic City’s struggles. Now the Hard Rock symbolizes its renewal. One of the biggest facilities on the Atlantic City Boardwalk, the 4.2 million-square-foot property includes a casino, hotel, retail area, dining space and entertainment area. Thousands of rock ‘n roll memorabilia items deck the halls, helping the Hard Rock to further stand out. All that is within the physical casino. Its online presence was impressive in its own right – even before the partnership with Evolution. Last month the Hard Rock became the first New Jersey gambling entity to offer multi-slot gameplay. It’s also set to offer another exciting gaming option. Will Sports Betting Come Next? Though it opened without a sports betting license, Hard Rock officials made it clear they wouldn’t go long without one. The company took a major step when it partnered with Bet365, another leading gaming company. There’s no date yet for when the Hard Rock will take its first bet, but officials indicate it will come sooner than later. There are millions of reasons why the Hard Rock doesn’t want to go long without it. Borgata and Ocean Resorts, along with Monmouth Park Racetrack, combined for more than $16.4 million in revenue within their first month taking bets. With more casinos coming online, and the lucrative football season approaching, that figure is sure to pick up. Luckily for Hard Rock patrons, it looks like it won’t be long until the casino joins in. Along with its online gaming partnerships and offerings, it has set itself up as the latest powerhouse property in a city, and state, that is reaffirming its status as the east coast’s top gaming destination.